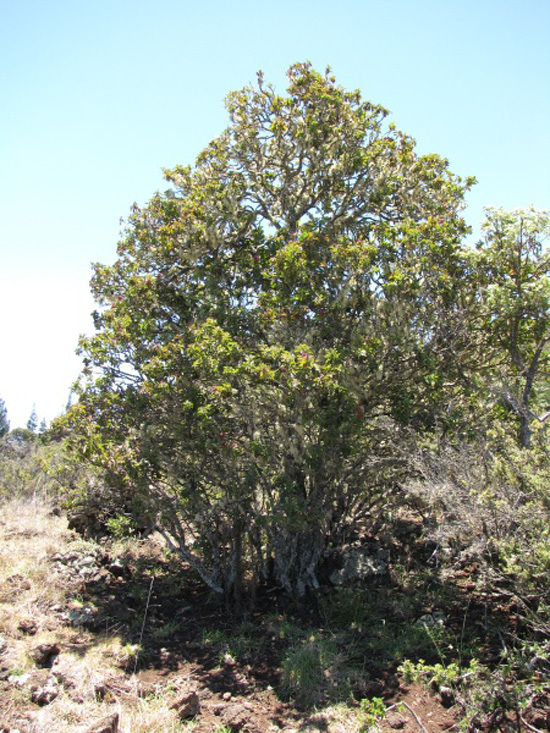 The Department of Land and Natural Resources Division of Forestry and Wildlife (DOFAW) is seeking public input regarding the status of, and recommendations on management priorities for the Hawaiian sandalwood species, iliahi. In order to capture this information, DOFAW has created an anonymous online survey focused on sandalwood and invites the public to participate. Comments are requested by June 10, 2013. It is important to collect the opinions of a wide range of stakeholders in this survey in order to ensure that the public is being accurately represented on this issue. “Historically, iliahi was used by native Hawaiians for medicinal purposes, to scent tapa cloth, lei-making, as well as other important cultural resources,” said William J. Aila, Jr. DLNR chairperson. “Today, iliahi is highly valuable and demonstrates potential as a commercial forest resource as well as continuing to serve an important cultural and ecological role in Hawaii. “However, there is currently limited information about the general health and status of iliahi in Hawaii. As a first step in understanding this important resource, DOFAW would like to gather as much information about ‘iliahi as possible in order to understand what the public and stakeholders want for this resource,” he added. The survey may be especially relevant for landowners and interest groups who are either growing sandalwood actively or are aware of sandalwood on their property, cultural practitioners that have an interest in this forest resource, and users of the timber. Participants are not required to share any private information during the course of the survey and information will remain anonymous. The results of this survey will be used to inform DOFAW staff on what future actions, if any, should be taken to assess the current status of sandalwood and how to best manage this important resource. The results will also be presented at the Hawaii Conservation Conference (July 16-18 2013) in a poster format.